HOTERY PRODUCTS CORP. is leading Taiwan manufacturer, supplier and exporter with well-equipped testing facilities and strong technical force. With a wide range, good quality, reasonable prices and stylish designs, our products are extensively used in Industrial Glue Gun and other industries. Our products are widely recognized and trusted by users and can meet continuously changing economic and social needs. More models of our products wanted, please contact us now! 1. 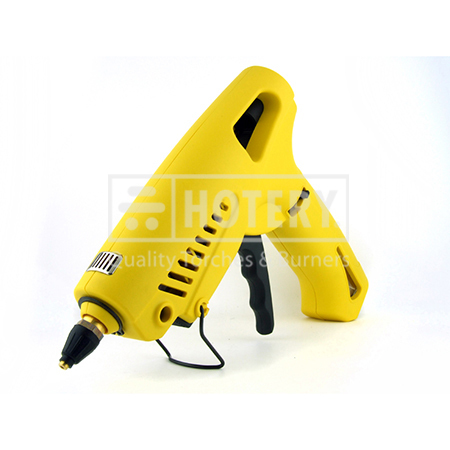 Auto ignition constant temperature glue gun. 2. Wireless. easy to hand carry. 4. Clamshell package design. could be hang up or put on shell. 2pcs x glue sticks in package. Glue stick hobbies. decoration. handicraft. binding.